Mirabelle de Nancy is the definitive mirabelle for French patisseries such as "Tarte aux Mirabelles". This is a traditional old French variety, originating from the department of Lorraine - the countryside around the cities of Metz and Nancy is one of the main areas for mirabelle production. The fruits are an attractive speckled yellow colour, and ripen in early September in southern England. Mirabelles are primarily used in the kitchen although they can be eaten fresh too. The stone separates cleanly from the flesh, which makes it easier when preparing the fruit for cooking. Please fill in the details below and we will let you know when Mirabelle de Nancy mirabelle trees are back in stock. Mirabelle de Nancy is in flowering group 3. Mirabelle de Nancy is partially self-fertile, but fruiting will be improved if there is a compatible tree of a different variety nearby. Since it flowers in the middle of the blossom season it can be pollinated by most other mirabelle trees. Mirabelle de Nancy is partially self-fertile. It will bear a reasonable crop on its own, but cropping is improved if a different mirabelle variety is planted nearby - and It can also cross-pollinate with other European plum and damson varieties. Whilst the tree is hardy and will grow happily in most parts of the UK, for reliable cropping it is best planted in a sheltered south-facing spot with maximum sunlight. France, 1700s and probably much earlier. 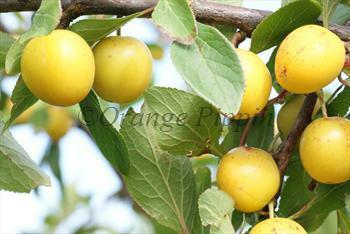 There is no specific "cultivar" of Mirabelle de Nancy, and it is perhaps better considered as a population of closely-related and interbred varieties with common characteristics, originating from the area around Nancy in north-east France.